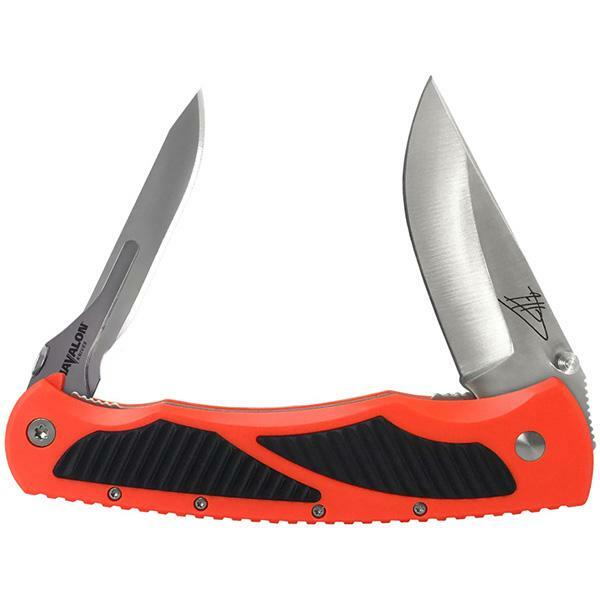 Features a AUS-8 cryo hardened straight back blade. Military grade polymer handle w/liner lock. Overall length is 8.00 in. Comes complete with a Piranta safety lock, removable pocket clip and Jim Shockey Signature Series holster. Fits all Piranta style blade. • Overall length: 7.75 in.